Raised in Saint Vincent Home for Children in Saint Louis, Rex graduated from Saint Louis University with a business degree before pursuing an MBA from the University of Chicago. Along with associate David Booth, Rex formed Dimensional Fund Advisors (DFA) in 1981, which today oversees more than $158 billion in assets worldwide. Through the Sinquefield Family Foundation, Rex supports organizations that are focused on music, children and education. 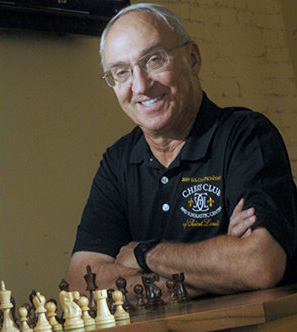 Rex recently provided the seed capital for the creation of The Chess Club and Scholastic Center of Saint Louis, which is a destination for both new and seasoned chess players in Saint Louis. He is the President and Chairman of the Board of the Chess Club and Scholastic Center of Saint Louis. Rex Sinquefield is a life trustee of DePaul University and serves on the boards of the Missouri Botanical Garden, Missouri History Museum, Opera Theatre of Saint Louis, Saint Louis Art Museum, Saint Louis Symphony and Saint Louis University. He is also a member of the Investment Committee of the Archdiocese of Saint Louis and the recipient of numerous awards for scholarship and service.